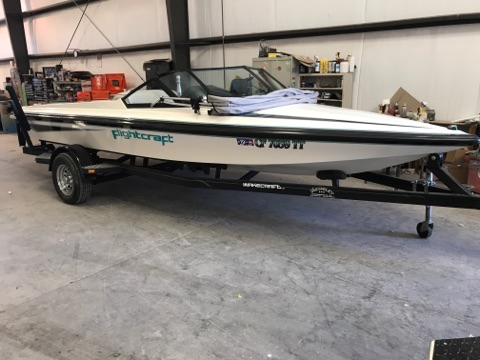 Any input on what the market will bear for this boat. Asking for friend. Immaculate shape 515 hours total time only 10 hours on the new engine. Located in N Cal. No speed control only draw back. I have never skied one of these so I don't know what they perform like. Hoping to get him to bring it over. 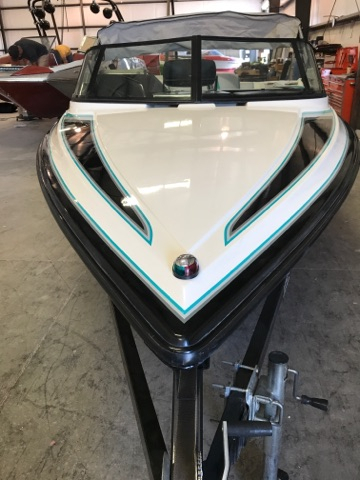 The boat looks pretty clean but I wonder why it needed an engine. I would put it out there for 9k and see what happens. 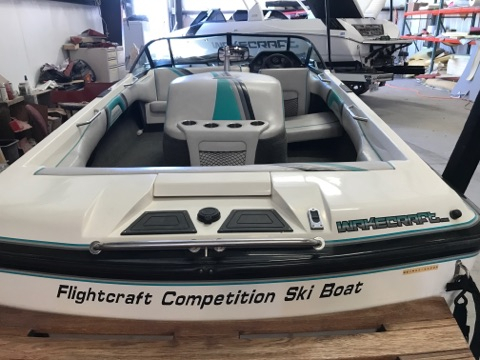 No idea what the wake is like but I imagine for that generation (mid 90s) just about any competitive skier would pick a similar age MC, CC, or Malibu. 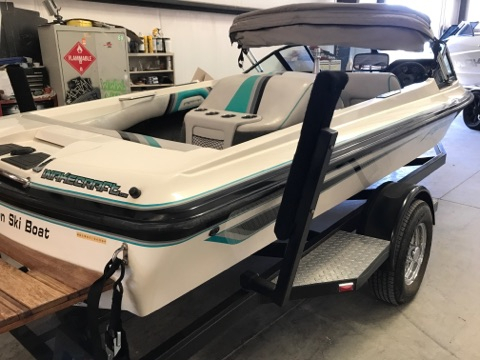 I imagine the likely buyer is really someone that just wants a cheap boat to get into wakeboarding, tubing, free skiing etc. But with no tower or stereo its probably going to be limited. I think more so than speed control. I would probably compare it to a similar age Brendella or Sanger for pricing. wake was actually pretty good,,, nut I seem to remember a bit more than average spray at shorter line lengths! They are a riot. Handle on rails, pretty tight inside on space and very low free-board. On the water they sit super low water over the bow VERY easily. Nice barefoot wake. Longer line slalom was nice...didn't have a chance to take her down the line back then on a quick test drive. Small boat...doesn't need much power to make it go like hell. That boat was made by Malibu in the factory in Merced. 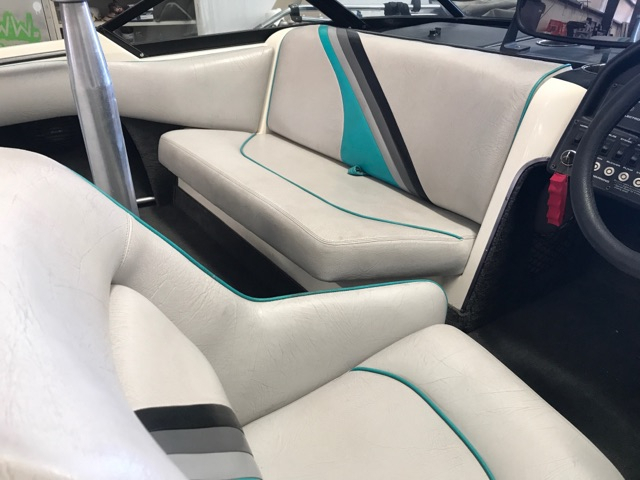 All composite boat. Very well built. More of a V hull than the others which is why it makes a better barefoot boat. Faster and and handles rough water pretty good. 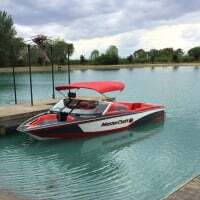 I used the outboard version for a week at Trinity Lakes in NoCal and had a blast.